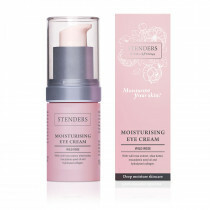 STENDERS Bath and Body Care Cosmetics :: Power up your skin moisture routine! 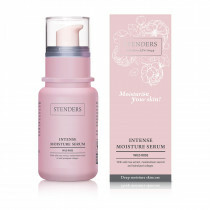 STENDERS Wild Rose deep moisture skincare range combines products for all the basic daily skincare steps – cleansing, toning and moisturising. 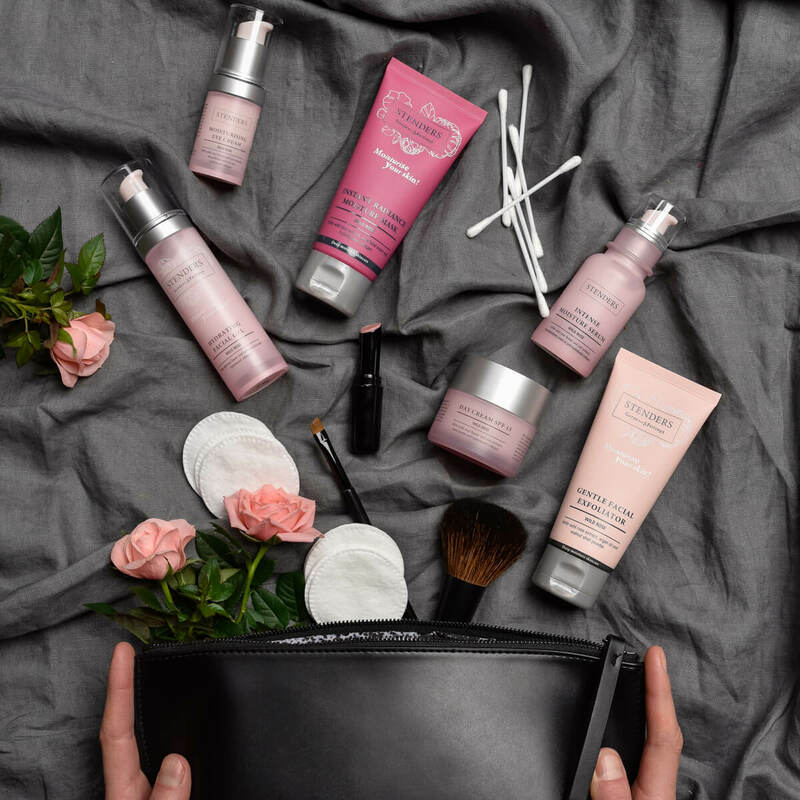 Combined with power treatments for deeper, more effective moisturising benefits this range gives you all what’s necessary for that perfect everyday skincare routine. Thorough cleansing is the foundation of a correct skincare routine. Regardless of your skin type, cleansing from everyday impurities, dust, makeup, bacteria and excess sebum gathered on the skin surface helps ensure proper skin functioning and leaves it looking fresh and radiant. Something even the most careful makeup cannot provide. Moreover, thoroughly cleansed skin is more receptive to moisturising and protective products and more effectively absorbs the beneficial components they contain. Cleanse your facial and décolleté skin! Carefully cleanse your facial and décolleté skin twice a day – every morning upon waking up in order to free your skin of toxins exuded during night-time, and every evening before sleep to clear away traces of makeup and daily impurities. 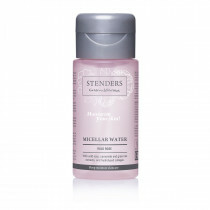 Micellar water is the product you may want to opt for if you are not a fan of washing your face with water. It contains water and surfactants that dissolve sebum, impurities and makeup soothing and preserving the moisture in the same single step. Apply exfoliator to cleansed, dried face, allow it to dry for a short moment, then massage the skin in gentle circular motion until clumps of product and skin impurities start to form. For intense peeling effect, use the product on dry skin, but you may moisten the skin slightly as you go for a gentler exfoliating action. Rinse off the remaining particles with warm water. Regular facial peeling helps free your skin from old skin cells, unclog pores and get a smoother, healthier and radiant looking complexion in a long-run. We recommend performing peeling twice a week depending on your skin type and condition by selecting a scrubbing treatment ensuring kind skin cleansing and no irritation. Gently cleanse your facial and décolleté skin, thus readying it for the following moisturising steps. In order to restore the natural pH or acidity-alkalinity balance, it is important to tone your skin after cleansing it with purifying treatments and/ or water, thus refreshing the skin and preparing it for deeper, more effective hydration. Deliver moisture – the essence of youthful-looking skin by selecting a suitable moisturiser for daytime and your beauty sleep. Regardless of your age and season outside your window, in a modern urban environment your skin is affected by a number of exterior factors – climate conditions both outside and inside, unhealthy lifestyle, pollution and stress, therefore the choice of deeply moisturising and skin-protecting cosmetics is essential to prevent the loss of moisture and help your skin retain the moisture balance to remain smooth, firm and healthy radiant. Pick up your ultimate beauty partners in a form of more concentrated skin treatments that reach deeper layers of your skin for that extra boost of moisture that leaves your skin perfectly smooth and instantly radiant. Gently apply a small amount of the serum to cleansed and toned skin to refine your complexion and give it a deep and long-lasting hydration. Thanks to the rich concentration of active ingredients, serums wonderfully supplement the effectiveness of your everyday moisturiser as due to their lighter molecular weight serums are more quickly absorbed into the skin reaching its deeper layers and delivering that extra boost of moisture. After using a serum, apply a moisturising cream to seal in the treatment, prevent it from evaporating and promote much deeper effectiveness. Take care of your under eye area! Tenderly, only with the tips of your fingers apply the moisturising cream to the area around your eyes to get the look that radiates and inspires. Skin around your eyes is thinner, much more delicate and sensitive, moreover this is the area where wrinkles, swelling and dark circles are visible much sooner. 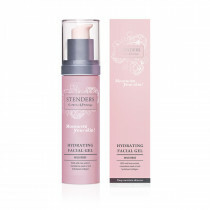 Therefore it is especially important to correctly and carefully tend the skin of this area with suitable products in order to effectively moisturise and smooth out the skin, thus retaining a youthful look. In the mornings apply the moisturising Day Cream or choose the Hydrating Facial Gel if your skin is prone to oiliness and you prefer more lightweight and refreshing treatments. Wake up with radiant complexion by applying a Night Cream the night before in order to regenerate, deeply moisturise and nourish your skin during your beauty sleep. The cell regeneration processes are accelerated during the night’s sleep, therefore selecting a suitable regenerating and deeply moisturizing night cream plays an important role in ensuring deeper regeneration, moisture protection and nourishment of your skin. Call it your beauty sleep and actually make it happen! Lock in precious moisture and instantly reawaken your skin to its natural, flawless luminosity by applying this deeply replenishing mask treatment once or twice a week. The unique-textured no-rinse mask may be used both morning and evening, and even applied before your makeup as a base layer.